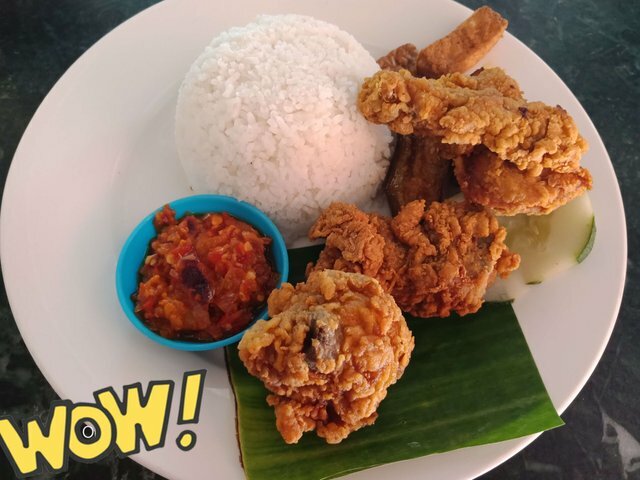 There's a cool place in Dongongon that I and my family went to whenever my Mom crave for Ayam Penyet with that chili paste that she loved so much. 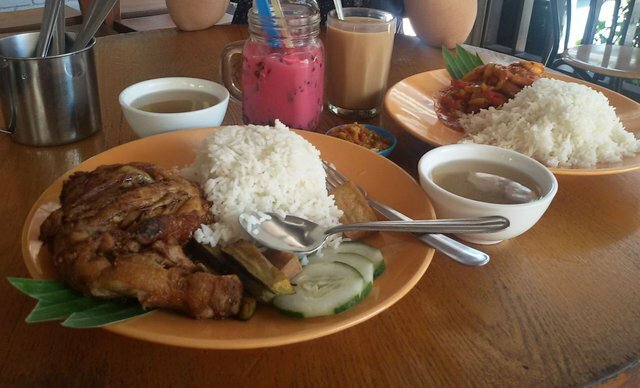 While my mom satisfies her craving for that Ayam Penyet, I got the chance to order my favorite drinks and of course Nasi Lalap. This is the glorious Nasi Lalap that I often ordered. I just love that crispy fried Chicken. I can just eat it without eating that rice, which I think a bit too much for me. I usually ordered this Bandung Cincau to go with this meal. 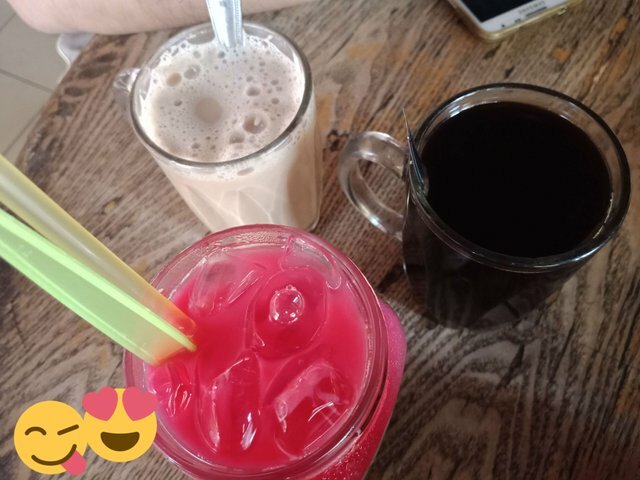 Its sweet taste of milk, Rose syrup mixed with Cincau or Grass Jelly. This Black Grass jelly is known to have many benefits to relieve our body heat and mild fever. 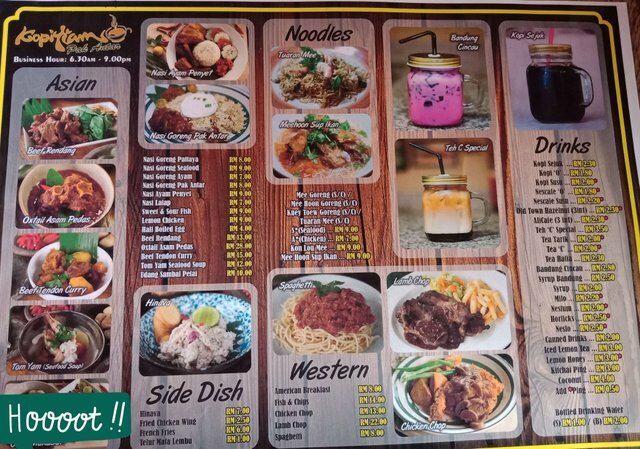 Variaties of dishes are available in the cafe as seen in this menu. The place is clean and good place to hangout with friends. I always enjoyed eating my favorite meal here. 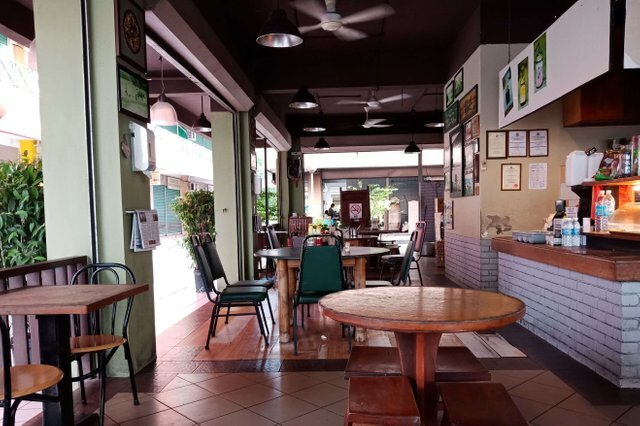 This Halal cafe is open daily from 6.30 am - 9.00 pm. Please contact me at the discord to verify our id as soon as possible. The chicken and rice look yum!